Here's a great new casino from Yggdrasil Gaming. When someone mentions viruses you might not automatically think of online slots, but Cyrus the Virus from Yggdrasil is so playable that it’s hard not to catch the bug. One of the most intriguing aspects of the five-reel game is that there are 10 pay-lines, five paying from the right. The middle reel stops last to build suspense every time you spin. 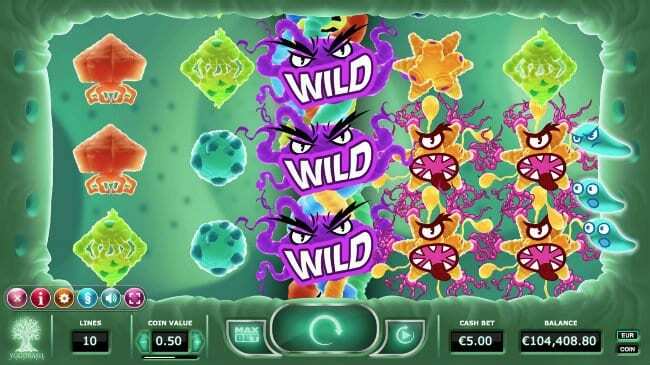 There is an infectious feature built-in: expanding wilds with a re-spin to give your bank balance a shot in the arm with up to 20,000 coins to be won. This is where to play online slots and then win some! Proof that good things come in small packages, Yggdrasil Gaming has made a huge impact on the online gaming community by developing innovative slots played all over the world. Established in 2013, Yggdrasil’s creative approach to game development has been recognised through numerous awards including Innovator of the Year at The International Gaming Awards 2017. The secret to this dynamic studio’s success lies in its impressive portfolio of games such as Reptoids, Valley of the Gods and Joker Millions. You can read more about the entire range of Yggdrasil Gaming's game here on Wizard Slots online casino. 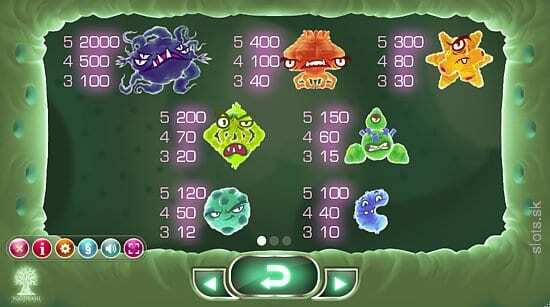 True to its name, the action in Cyrus the Virus takes place in a kind of green petri dish, with symbols comprising some mean-looking bacteria. Keep your eyes peeled for the ferocious looking blue bug which will net you 2000 coins for five-of-a-kind! The smooth animation is nicely complemented by the ambient sound effects. For players that want slots with the best graphics, visit our guide and find out more. Reel mechanics: The reel mechanics are a real feature of Cyrus the Virus. Although it is a traditional five-reel online slot, five of the ten pay-lines pay from right to left! This adds to the tension as you wait to see what the middle reel has in store. Expanding wilds with re-spin: If a wild symbol lands anywhere on the third reel then expanding wilds with re-spin is triggered. Sit back as the bug spreads its tentacles across the other symbols making them turn wild. 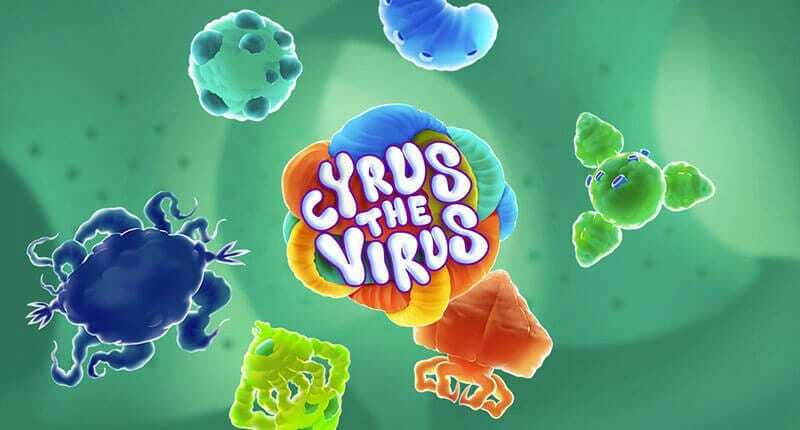 Cyrus the Virus is optimised for Android and iOS and will look just as impressive on your mobile device as it will on your home computer. Furthermore, the handy autoplay feature means that you can let the computer do the work as you keep an eye on your winnings.